The Advocate Redi-Code Plus glucose test strips are only compatible with the Advocate Redi-Code Plus glucose meter. This offer includes 100 test strips and 100 lancets. 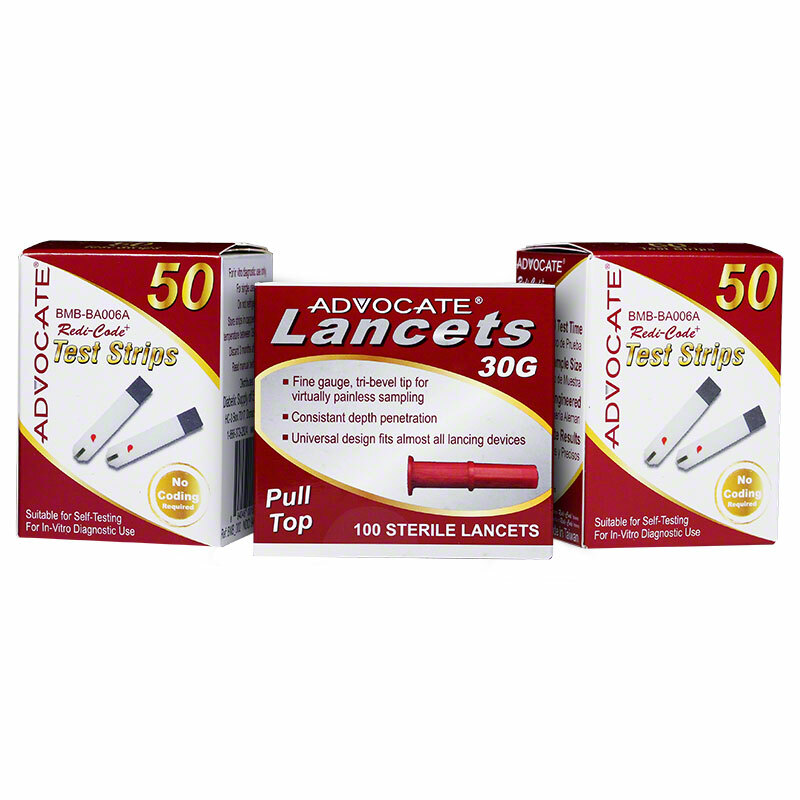 This offer includes 100 Advocate Redi-Code test strips & 100 lancets.